LinkedIn is an incredible tool for connecting with colleagues, advancing your career and enriching your professional live overall. Anyone who's interested in connecting or working with you will undoubtedly scan your profile first, which is why you better make sure it impresses them. It's not always enough to simply fill out every single detail about your professional life on your LinkedIn profile. To really make yourself stand out and prove that you're as professional as you are, you need to go above and beyond what a standard LinkedIn profile might look like. Consider implementing the following tips to help optimize your profile and really blow people away with your professional expertise. It can be tempting to use a photo of yourself at your sister's wedding or even that great "duck lips" selfie you took last week for your profile picture on LinkedIn. Unfortunately, people don't care about how good you look on LinkedIn — they care about how professional, welcoming and trustworthy you look. You don't necessarily have to hire a photographer to get some professional headshots (although that's not a bad idea). All you really need to do is ask a friend or a coworker to use your smartphone to take a headshot of you in good lighting, smiling naturally and preferably in your work attire. Your header photo doesn't have to be your company logo, but it shouldn't be something totally generic or irrelevant either (like a stock image of a field of flowers, a photo of your dog, etc.). As long as it contributes to what you do and your professional story, it can work. Don't have a photo to use for your header? Check out this list of 10 websites that let you download free, beautiful photos to use for practically anything. Your headline appears directly beneath your name on your LinkedIn profile and is used to sum up what you do in as short of a sentence as possible. You could simply use this space to state your current position and nothing more, but if you're trying to show up in search results, you're going to want to use as many relevant keywords as you can to increase your chances of being discovered by the right people. Your headline must be 120 characters or less. Graphic Designer: Helping Businesses Communicate Effectively and Engage Their Audiences. Keep your tone conversational and don't get caught up in using too many big words. You want to it to read just like how you talk. Consider ending with a call to action—such as asking viewers to check out your website, read your recommendations or contact you via email. For each position that you list under your Experience section, you can upload media files or add web links. This is a great way to show off your work and offer sold proof of your experience in your field. Select the pencil icon beside any position you've already listed to edit it and then scroll down to the bottom of the editing box. Select the Upload button to choose a file from your computer (such as an image, video, presentation or document). You can also select the Link button to paste a web link into the given field, then select Add to confirm. Nothing helps boosts your credibility like praise and testimonials from others. Having two to three good written statements of endorsements from colleagues in your Recommendations section can be enough to convince profile viewers of your professional expertise. To add a Recommendation section, select the blue Add profile section button at the top of your profile followed by Additional information > Request a recommendation. You'll be asked to enter a name of a 1st degree connection followed by your relationship and position at the time. After clicking next, you'll be given the option to include a message or send it with the default message. If you really want to increase your chances of receiving a recommendation back, make sure you personalize the message by greeting the recipient, asking politely if they would write a recommendation to be displayed on your profile and even including some details of what you'd like to see from them. If you don't get a response from a recommendation request within a week, follow up by sending a private message to the recipient to ask them if they got a chance to look at it. They might just need a reminder. You could even follow up on another platform, such as by email, if you think it's more convenient. You can add up to 50 different skills to your Skills section of your profile, but that certainly doesn't mean that you should. When it comes to the Skills section, less is more. Including too many skills can make this section look cluttered, giving viewers too many words to look at. You want your most important skills to stand out and you want more of your connections to endorse you for them, which is why it might be necessary to cut ones out that just aren't as important or relevant to you. Try including no more than 10 to 15 skills in your Skills section. This makes it easy to scan so that viewers can quickly find out what you really excel at. Did you know that you can publish long-form content on LinkedIn? Articles that you publish will show up in the feeds of your connections and in other people's search results depending on the keywords you use. Your most recently published articles will appear right after your Summary section, so anyone who visits your profile will be able to select one to read it in full. This is a great way to demonstrate your knowledge and expertise in your field. To write a new article, simply navigate to your Home tab and select Write an article beneath the status update field at the top. A new tab will open with an article editor you can use to start crafting your article, along with a feature image and headline. Having a custom URL not only makes your profile professional, but also easier to share. Depending on the name or words you use, it also helps you rank for relevant search results both in LinkedIn searches and on search engines like Google. To edit your URL, navigate to your profile and select Edit public profile & URL in the top right column. On the next tab that opens, look for Edit URL in the top right and select the pencil icon beside your current URL. Your URL must contain between 3 and 100 letters and numbers only. Select Save when you're done. If your URL is already taken, you'll be asked to enter a different one. Once you've exhausted yourself filling out everything that you can on your LinkedIn profile, pat yourself on the back and take a break. You're going to need to take some time away from looking at your profile to be able to identify what shouldn't be there. You can certainly create a LinkedIn profile and let it sit there, but you might want to think twice about doing that. By spending even just 5 to 10 minutes a day interacting on the platform, you'll help your profile get noticed more not just by your connections, but by people searching for you too. The more active you are on LinkedIn, the higher your profile will rank in search results. LinkedIn's search algorithm gives priority to profiles of users who interact more on the platform than users who are less active (or not active at all). Try updating your status, commenting on your connections' posts, messaging them privately and even expanding your network. After all, it would be kind of a shame to put all that effort into beefing up your profile only for it to go mostly unnoticed. 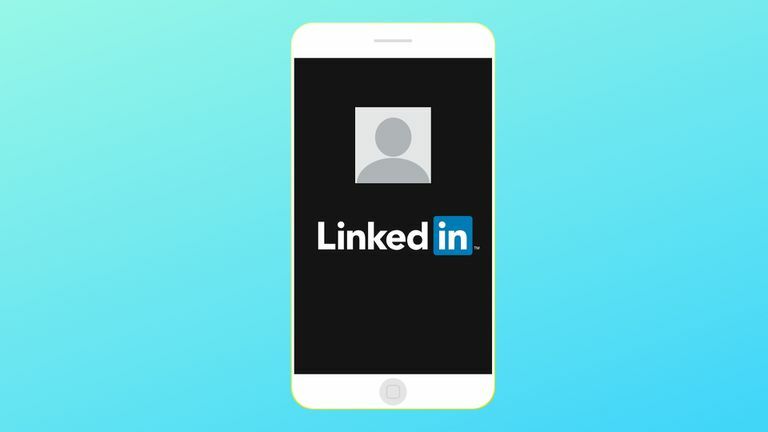 Download the LinkedIn mobile app for iOS or Android to make interacting more convenient. Do it while you're in transit, standing in line at the store, sitting on the couch or wherever you like.